We are delighted to tell you that Tonic Health have been offered a grant of £108,713 over the next 3 years for Focus Dementia Support from the National Lottery Community Fund. Huge thanks to all National Lottery Players for their support as, thanks to them, more than £500 million is given out to charities, community & voluntary groups each year. This is a real feather in the cap for the dementia team who have worked tirelessly at promoting our dementia services over the past three years. It means we can really concentrate on making our services the best they can be, without the worry of where the next bit of funding will come from. The group is led by Joy Hallam who has experience of working with people with dementia. A range of activities are provided throughout the day to keep the group physically and mentally stimulated. Lunch and regular refreshments are also provided to keep them in tip-top shape. The FOCUS Club 1 meets on the second and fourth Tuesdays of each month, running from 10am to 4pm, and the new FOCUS 2 Club meets on the first and third Tuesdays of each month, again from 10am to 4pm. More information, and for latest updates, visit the FOCUS facebook page. 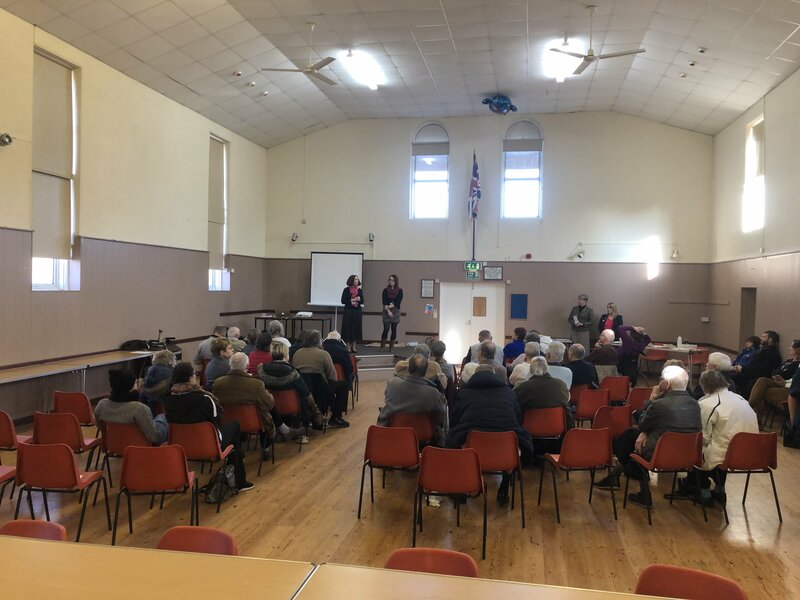 A great start to our new journey spreading the dementia word to the people of Crowland with our information session held on 31st January with over 50 people attending. The meeting started with Paula Sargeant, a Pastoral Outreach Worker from Boston delivering a 'Dementia Friends Session'. This was followed by David Ringham from Crowland Cares, Dr Abhijit Banerjee, Dementia Lead G.P from Abbeygate Surgery & Michael Morris, Chair of Trustees of Tonic Health, speaking about how the three organisations are coming together to deliver the collaborative dementia support project for the people of Crowland. This showcases how the third sector and a GP practice can work together for the benefit of the local community. Over 50 people also attended the very first dementia cafe held on 7th March, what a fantastic start and great to see so many faces. The dementia cafe will meet every Thursday 10-12 at Crowland Pavilion, The Snowden Field, Thorney Road, Crowland, PE6 0AL. There is no need to book, it is a drop in session for those with dementia and their carers. Suggested £5 per person per session to include movement session, individual and group activities, therapies for the carers and refreshments. Come and look at our new artwork, made by the members of the Movement 4Memory Group, in association with Doodles!